Pros: Fast and accurate voice recognition finally on the Macintosh! Cons: High cost – nearly twice the cost of the Windows version. 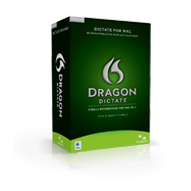 *Owners of MacSpeech Dictate v1.x are entitled to upgrade to Dragon Dictate for Mac for $49.99. Users must be patient and train the software before they should expect fast and accurate dictation results.Although editing can be done using one’s voice, the end-user probably will find that it’s easier to edit dictated text using his or her keyboard instead of using verbal commands. Comments: Starting with this sentence, I am dictating this entire review using Nuance’s Dragon Dictate 2.0 for Mac OS X instead of typing it. I must say, that it works as well as the Dragon Dictation program for my iPhone. As a matter-of-fact, I think I might use this Mac application as much as I use my iPhone app with the same name. According to Nuance, people talk about three times faster than they can type and although I get tongue-twisted from time to time I can easily say that I can talk twice as fast as I can type! 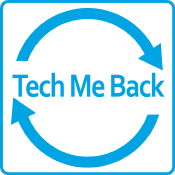 Additionally the nice thing about dictating to my Mac is that just as I can type by speaking to my Mac I can easily edit the same document with my voice instead of using the keyboard. For the purpose of this review, however, I am not editing any of this text at all so that you, Gentle Reader, can get a good idea of how accurate this program is. Dragon Dictate for Mac allows you to easily create documents, e-mails, chats, Facebook postings, and more. Additionally, you can use DragonDictate for Mac to control applications on your Mac that you may already have. For example, you can say, “Open Microsoft Word” and Dragon Dictate will launch Microsoft Word automatically. At this point, you can open a new document and simply start dictating a letter a note or what have you simply by speaking into your microphone! The program comes with a USB headset and you must spend about 20 minutes teaching Dragon Dictate how you typically speak so that it can learn how you pronounce words and your voice inflections. By doing this calibration, you’ll find that Dragon Dictate is fairly accurate. I can see using DragonDictate quite a bit to dictate e-mails and Word documents. The more I use this program, the more I like it! So if you prefer to speak to your Mac, instead of typing on it, considered Nuance’s Dragon Dictate for Mac OS X as it makes the tedious job of entering large amounts of information quickly, easily and accurately.